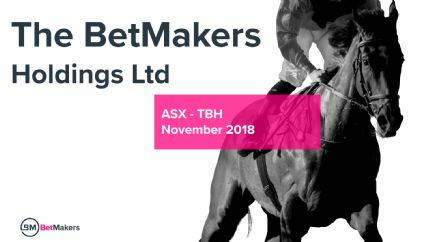 "TBH continues to execute on its wholesale business strategy with a range of initiatives"
Sydney, June 14, 2018 AEST (ABN Newswire) - TopBetta Holdings Limited ( ASX:TBH) ("TBH" or the "Company") is pleased to announce that it has entered into a binding, conditional heads of agreement ("Heads of Agreement") to acquire 100% of the shares in data and betting tools company, DynamicOdds Pty Ltd ("DynamicOdds"), and its associated licensing brands ("Assets") (www.dynamicodds.com.au) ("Acquisition"). The DynamicOdds brand is a provider of wagering data in Australia and currently supplies data feeds to (and delivers data on behalf of) Australia's Principal Racing Authorities as well as a number of Australia's licensed bookmakers and sophisticated punters. The data feeds provided by DynamicOdds are a key component for bookmakers both online and on-track in their fixed odds pricing models. 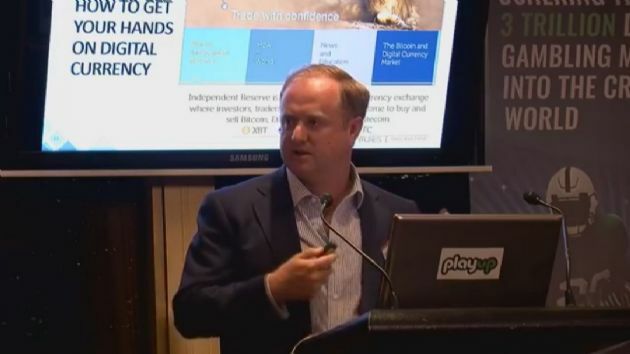 TopBetta's CEO, Todd Buckingham commented: "DynamicOdds has developed a reputation as a respected provider of data and betting tools within the Australian racing industry and is a perfect fit for the TBH wholesale business model. 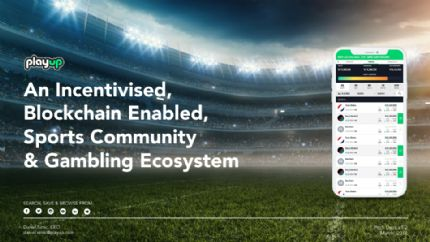 "We're excited about the opportunity to continue to develop and enhance the current technology stack that helps punters make bets, and bookmakers take bets. At the same time, we also see a huge opportunity to expand the business into other verticals via partnerships with sporting and racing bodies globally. This acquisition is the perfect complementary business to continue with our Company's growth." 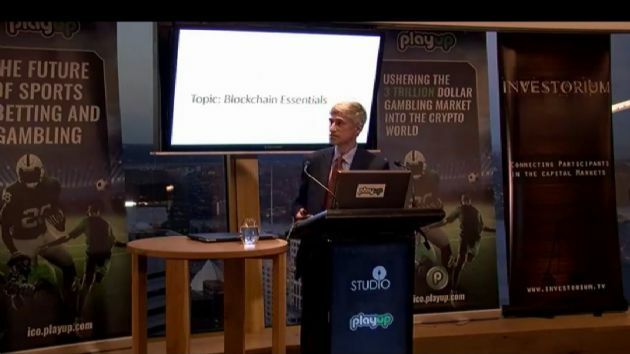 DynamicOdds CTO Karl Begg and CEO David Begg commented: "DynamicOdds was established in 2006 as a platform for both punters and industry professionals to analyse and monitor the betting markets for the Australian racing codes. 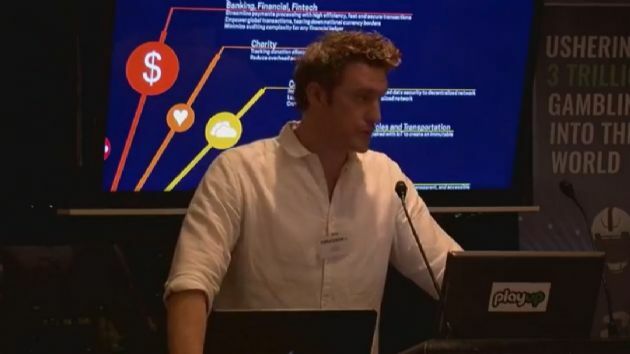 "Since its inception, DynamicOdds has established itself as an integral part of the Australian wagering landscape at both retail and commercial levels. "In August 2016, Racing Victoria commissioned DynamicOdds to provide an 'official price' for Victorian thoroughbred racing. DynamicOdds not only supplies the systems to produce and manage the official price, but also the infrastructure to display the price via on-course display networks. The official price service was quickly adopted by all other state thoroughbred racing authorities and implemented by second quarter 2017. "Combining both the experience and expertise of DynamicOdds, TBH and its subsidiaries, will ensure continued growth as we explore all opportunities within racing and sports markets domestically and into the UK and US markets." 7. The Heads of Agreement shall terminate on 31 July 2018 or upon the prior insolvency of either party. DynamicOdds provide a range of free and premium betting related services for punters, racing authorities and bookmakers. The DynamicOdds odds comparison Premium application is used by punters and bookmakers alike in Australia and consumes a range of data sources that include; fixed odds pricing, tote and exchange prices, race day control information, form, statistics and an extensive runner pricing database. 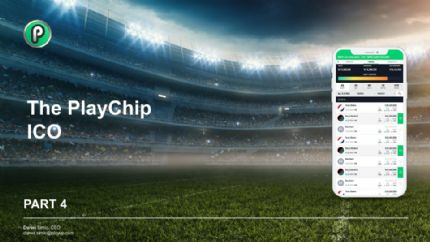 The application allows punters and bookmakers to place bets with other integrated licensed bookmakers from the one interface. A free version of the site also exists that includes price comparisons for both racing and sports betting. DynamicOdds also powers and provides the official starting price ("SP") for racing authorities such as Racing Victoria and Racing NSW and Racing Queensland. Further to the announcement dated 13 April 2017 ("MB Announcement"), the Company and Mad Bookie Pty Ltd ("Mad Bookie") have finalized the Purchase Price (as defined in the MB Announcement) payable by the Company for the acquisition of the assets of Mad Bookie ("MB Assets"). It has been determined that the Purchase Price for the MB Assets is $1,155,700, however, $150,000 in payments have already been made towards the Purchase Price. In accordance with the terms of the agreement to acquire the MB Assets, the Company is required to pay the balance of $1,005,700 in cash, or a combination of cash and scrip, on or before June 29, 2018. 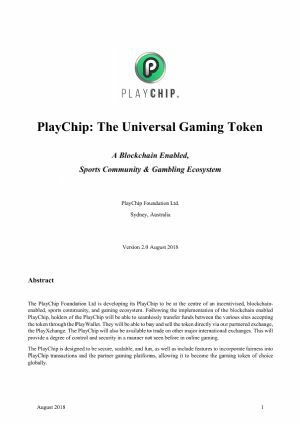 As announced to the market on the 18th April 2018 ("PlayUp Announcement"), TBH intends to the sell the TopBetta and Mad Bookie B2C businesses to blockchain enabled global fantasy sports and online sports betting company, PlayUp Limited ("PlayUp"). 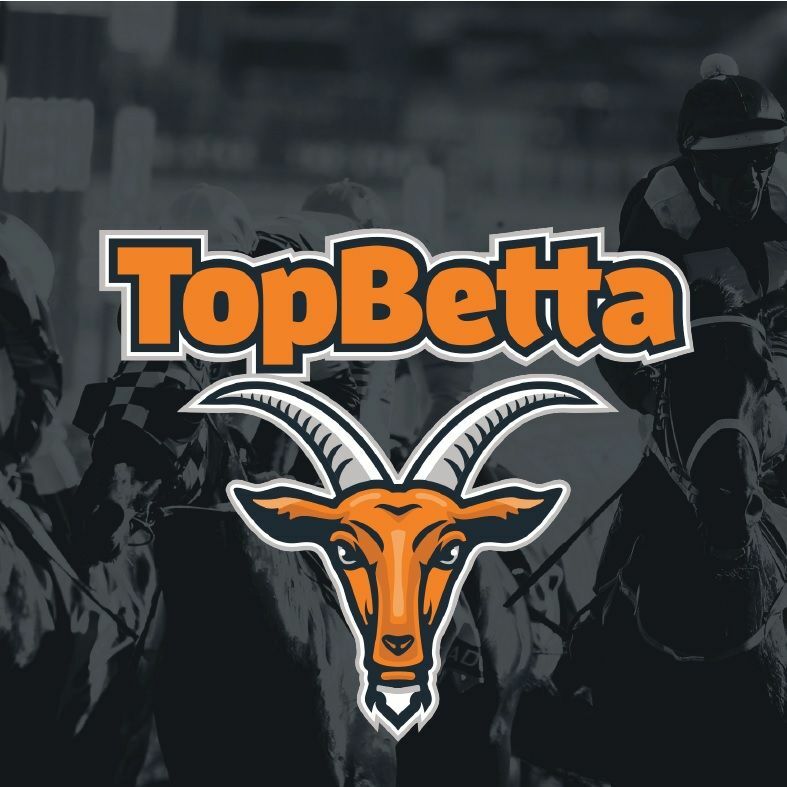 Subject to shareholder approval at the Company's General Meeting called for the 18th June 2018 and the satisfaction or waiver of other conditions precedent, TBH will receive $6M (plus GST if applicable) ("Sale") as well as earning a 20% revenue share from both the TopBetta and Mad Bookie brands for a 24 month period under associated software licence and services agreements ("Licensing and Services Agreements"). Further to the announcement released on 4 June 2018, the Company advises that the ASX has not granted the waiver of ASX Listing Rule 11.4 in relation to the Sale and, accordingly, the Company will be seeking shareholder approval of Resolution 1 (amongst others) at the General Meeting to be held on 18 June 2018 ("General Meeting"). Further details are set out in the Notice of General Meeting dated 15 May 2018. 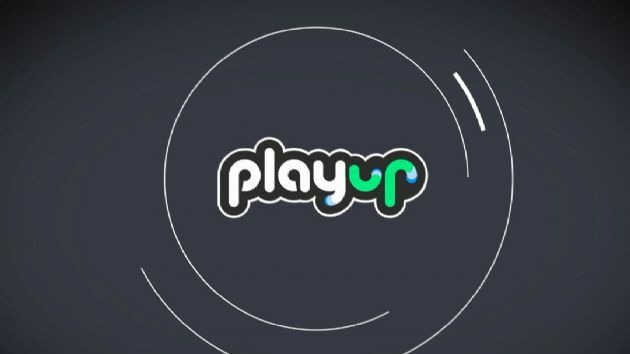 Should shareholders approve Resolution 1 at the General Meeting, PlayUp will be required to pay the $3m deposit to TBH by 25th June 2018. The deposit will be only be refundable if TBH does not satisfy or waive each of the conditions precedent (as detailed in the PlayUp Announcement) on or before 31 July 2018. The Licensing and Services Agreements are in the final stages of negotiation and, accordingly, it is expected that all conditions precedent will be satisfied or waived on or around 18th June 2018 (subject to shareholder approval under ASX Listing Rule 11.4 at the General Meeting) and, accordingly, completion is expected to occur, and the final additional payment of $3m will be due and payable to TBH, on or around 25 June 2018. Sydney-based stockbroking firm Red Leaf Securities Pty Ltd ("Red Leaf") has been appointed as Corporate Advisor to assist the Company as it focusses on executing its wholesale business strategy. Red Leaf is a boutique broker that invests on behalf of high net worth clients and fund managers. The brokerage firm specialises in Australian equities, with a focus on undervalued small cap companies, and corporate transactions. 5. 500,000 options will be exercisable at $0.60 and will vest on 7 June 2019 subject to Red Leaf continuing to be engaged by TBH at that date. These Options will be issued under the Company's 15% placement capacity under ASX Listing Rule 7.1.